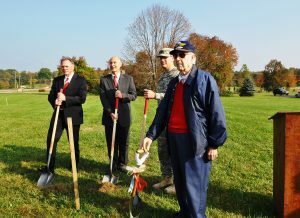 It is with great sadness and a heavy heart that we announce the passing of Bob Withee, WWII veteran and MAPS volunteer. Bob joined MAPS in March of 2002 and was an excellent tour guide. Bob was born on Flag Day, June 14th 1921 and was 97 years old. Bob was active until October of 2013 when health issue’s started to take it’s toll. Bob still attended various MAPS events including this years pancake breakfast. A replica of his WWII P-51 Mustang “Jean Ann II”, named for his wife, was placed at the Massillon Rd entrance in April of 2014. Click on the picture to link to Bob’s obituary.